Buriton Art Trail was started by Jill and Paul Martin holding an Open Day at their studio at Grantchester House in Bones Lane in 2010. In 2011 Steve Atkins contributed some garden sculptures placed near the Martin's driveway and by 2012 Fran Vesey had started holding art classes at the Five Bells and many more villagers and associates contributed to a village art trail that included the Grantchester House Studio, the Morgue at the Five Bells, the Seward Room at the Church and Hoploft House garden off Bones Lane. BURITON ART TRAIL 2019 will be held on Saturday 29 June and Sunday 30 June . A preview event with sample exhibits from many of the Trail Artists will be held in the wonderful Manor Barn. 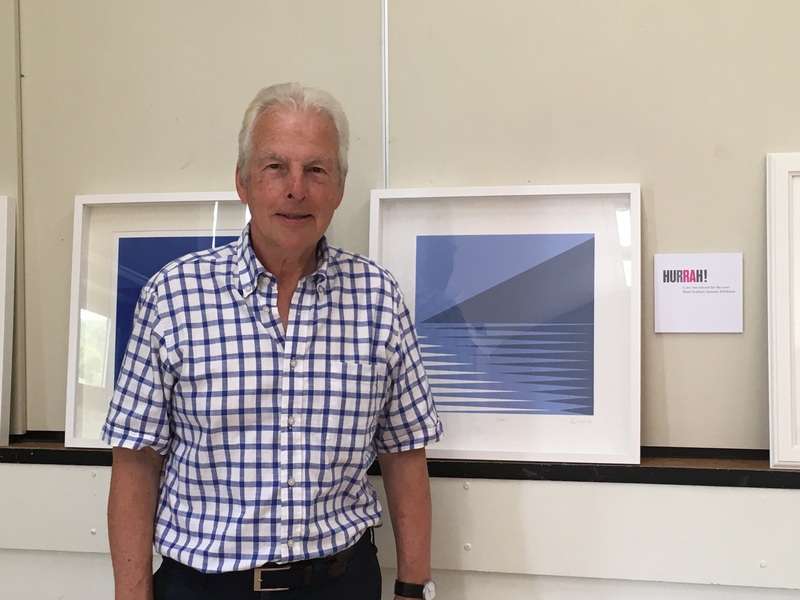 Guest speaker will be George Hardie, designer of iconic LP sleeves for Pink Floyd and Led Zeppelin, postage stamps and many other items. Entry is by ticket only (£5) to include nibbles and a first drink; cash bar also available. Numbers are limited and this event is likely to be a sell-out. Tickets will be available from mid-May from Fran Vesey at the Five Bells or from other members of the Trail Artists Group -Jill and Paul Martin, Liz and Ken Cox, Kim Hoolahan, Steve Atkins, Tim and Francesca Concannon. VENUE 1: The Five Bells Function Room "The Morgue" - paintings by local artists and invited guests. Pub open as usual for food and drinks for Art Trail followers. VENUE 2: The Village Hall - exhibits from local artists plus demonstrations, The "Turnip Prize" competition, RT cafe serving cakes and soft drinks. 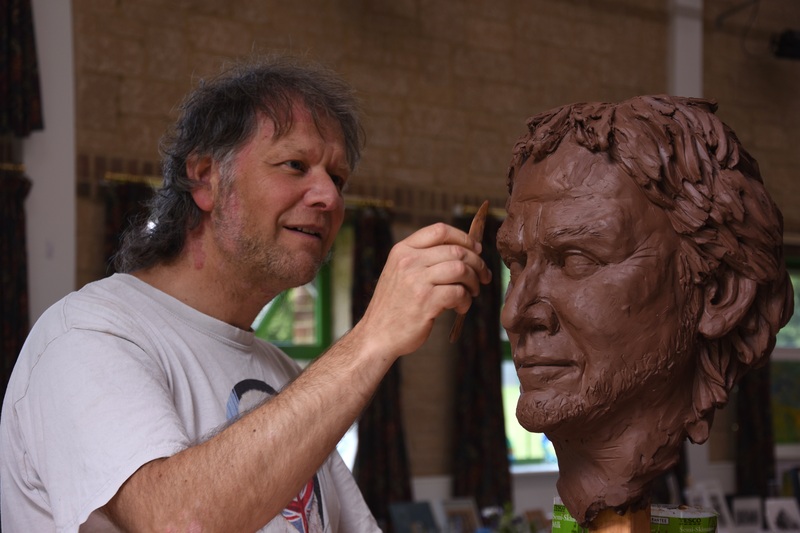 VENUE 3: Pond Green: Art on the Green including Ted Underwood's Craft from the Woods and hands-on pottery experience. VENUE 4: Highcroft Potters - Bones Lane near the Green. 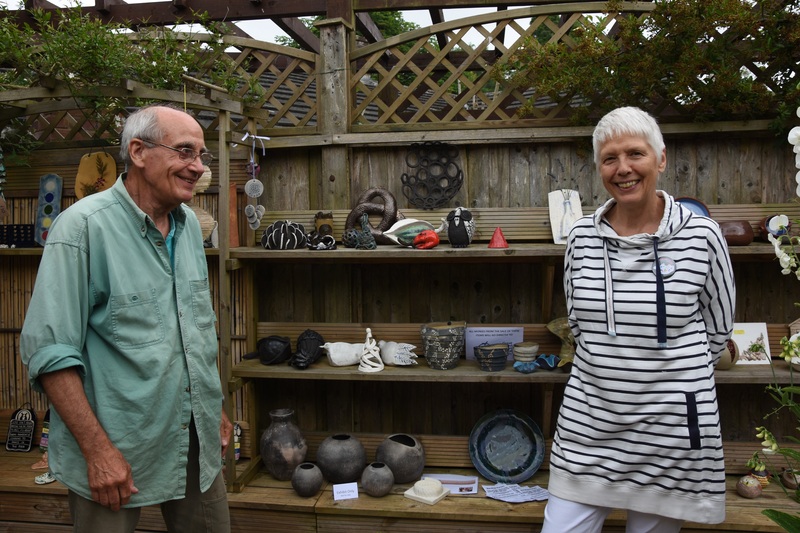 Pottery by Liz and Ken Cox and other local artists in a wonderful small garden setting. VENUE 5: Hoploft Sculpture Garden. Featuring Steve Atkins' quirky creations from re-cycled objects - and a great view over the Links. VENUE 6: The Garden Room. Tim Concannon's extraordinary venue accessible from North Lane, once a regional finalist in Shed of the Year competition. Featuring works by Tim and Francesca Concannon. VENUE 7: The Seward Room at St Mary's Church Buriton's knitters and sewers will exhibit a variety of handicraft.